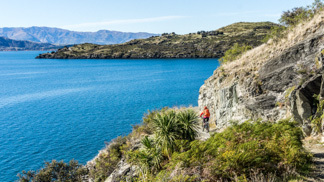 Explore Wanaka your way! 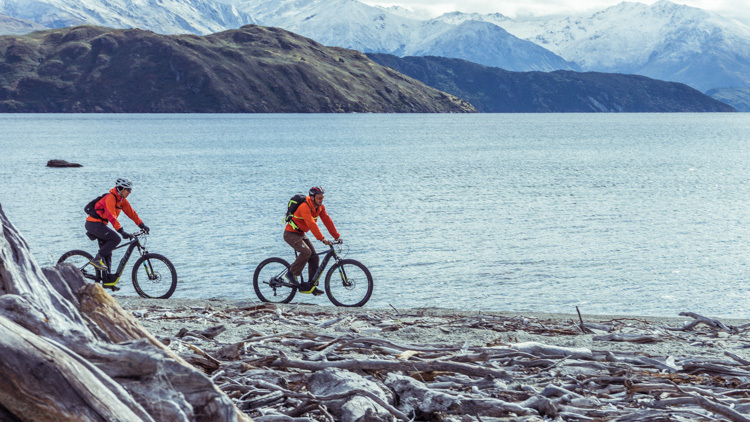 Our e-bikes are the perfect way to get out and explore the Wanaka lakeside and river tracks at your own pace. 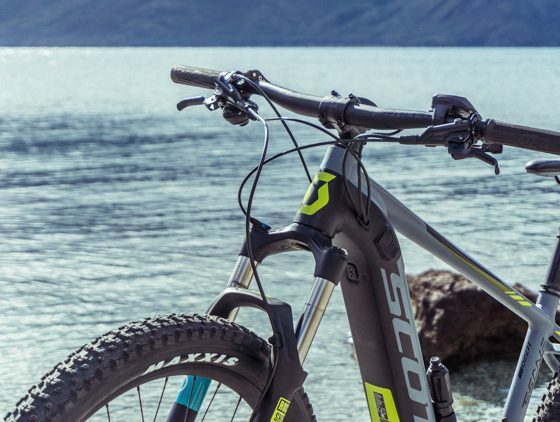 If you can ride a bike, you can ride an e-bike. Our European electric bikes are smooth to ride and easy to use, simply switch on the Bosch motor and pedal away with a permanent tail-wind! 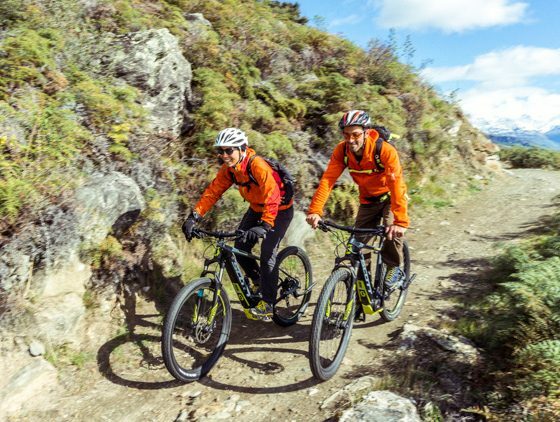 Choose from easy riding Cruiser e-bikes or get adventurous on an e-Mountain Bike (e-MTB). 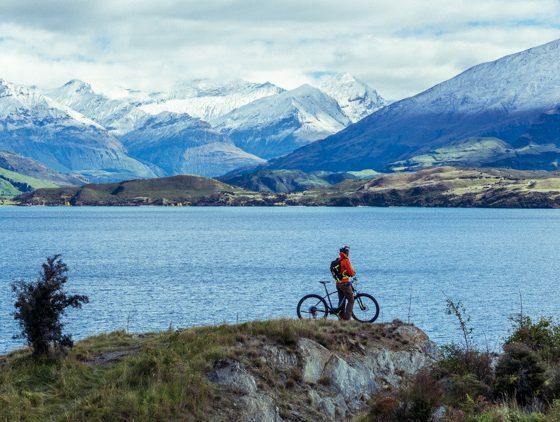 Wanaka’s world-renowned scenery provides the perfect backdrop for some of the most outstanding biking in New Zealand. 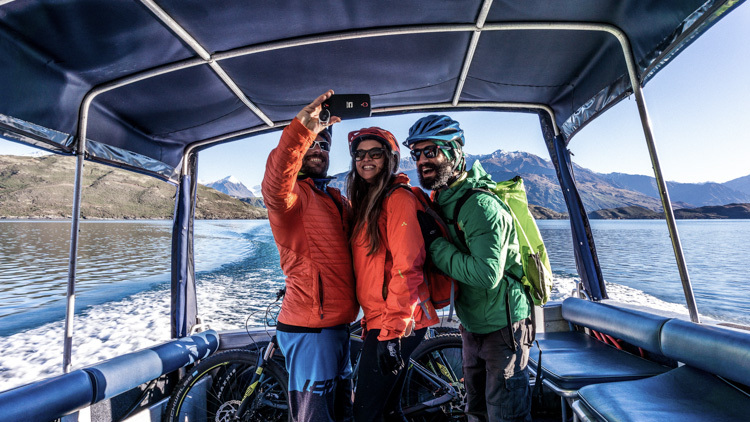 From superb lakeside and riverside cruising to exciting and more challenging tracks. 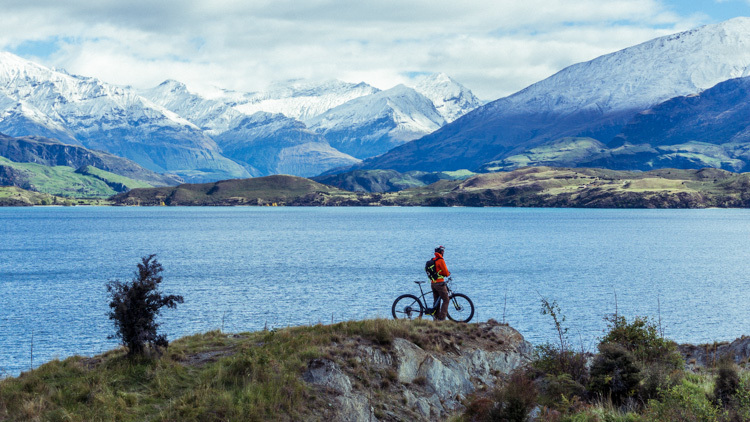 The riding is unforgettable, whatever your chosen pace. 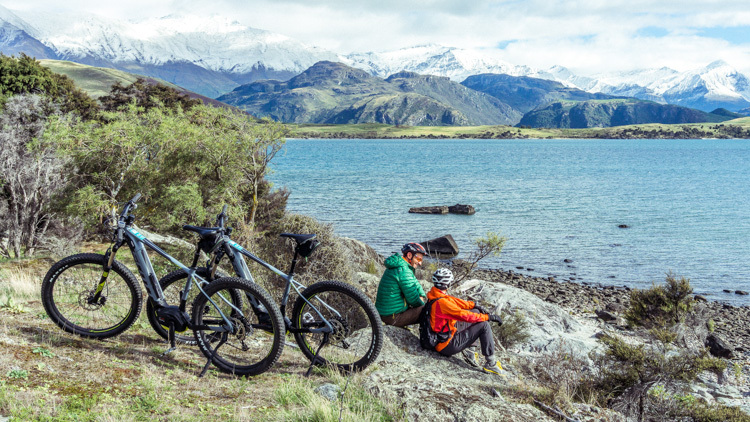 Choose from easy riding Cruiser e-bikes or get adventurous on an e-Mountain Bike . 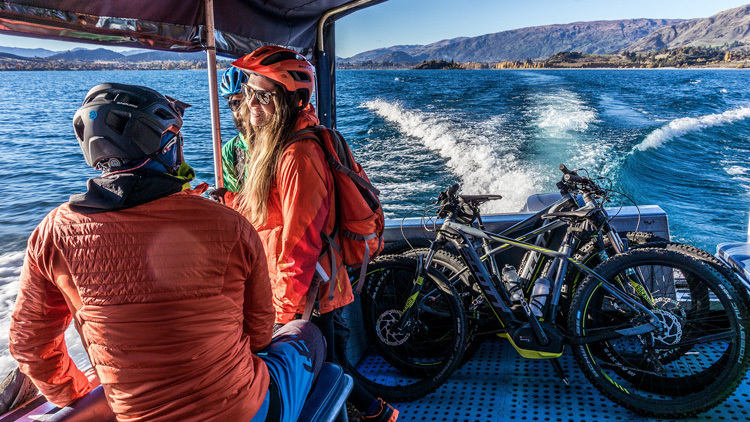 Take it easy, and cruise the rivers and lakeside, or explore Wanaka town. 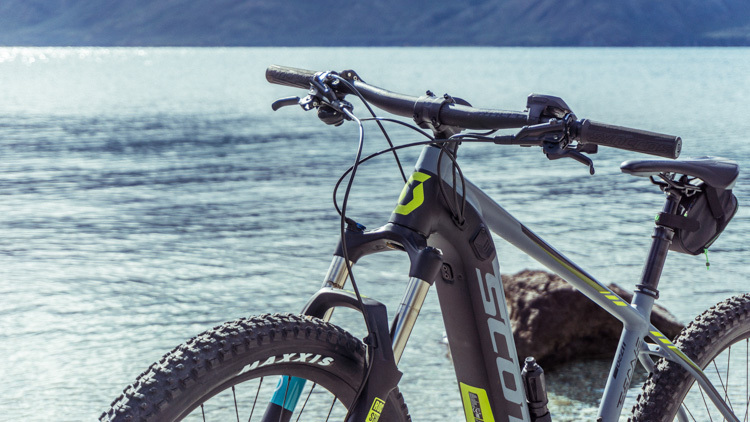 Our e-bikes are smooth to ride and easy to use. Simply switch on and ride away. 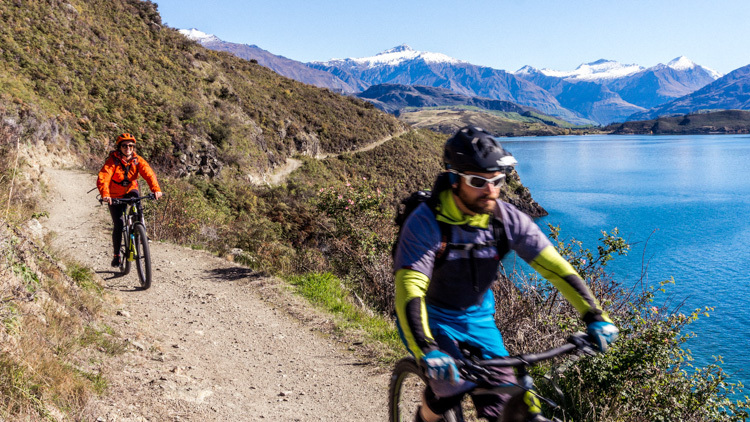 The full day hire will give you plenty of time to tackle longer tracks and provide ample opportunity for scenic stop-offs and breaks to soak up Wanaka’s world-renowned scenery – the perfect backdrop for some unforgettable riding, whatever your chosen pace. 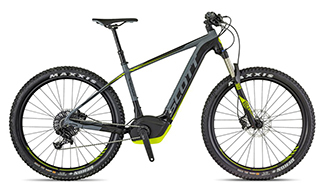 Our performance e-Mountain Trail bikes are smooth to ride and easy to use. 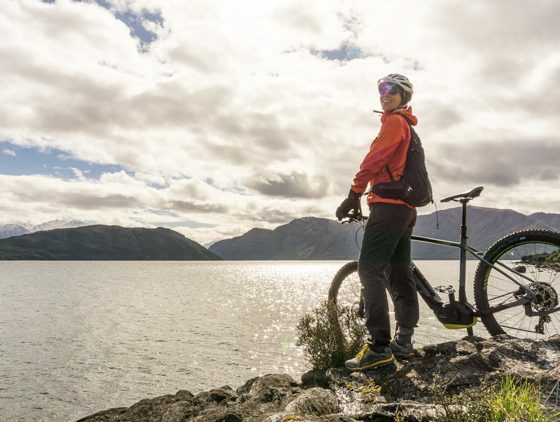 Simply switch on the Bosch and ride away with a permanent tail-wind! 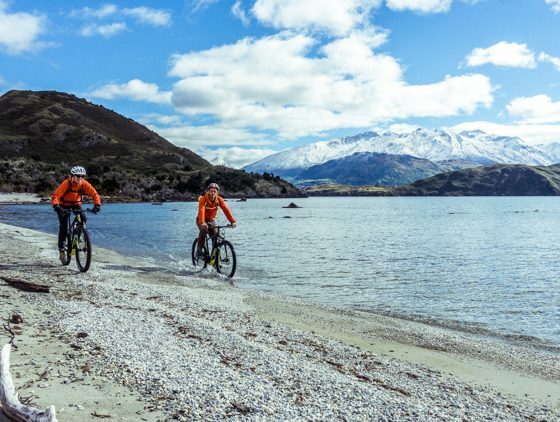 The full day hire will give you plenty of time to tackle longer tracks and provide ample opportunity for scenic stop-offs and breaks to soak up Wanaka’s world-renowned scenery – the perfect backdrop for some unforgettable riding. 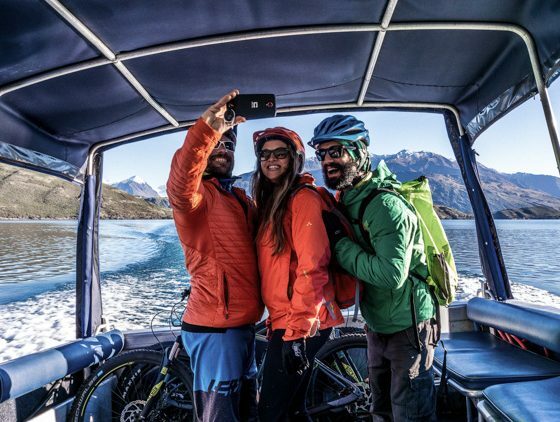 Combine Bike & Boat Trip. Just add water! 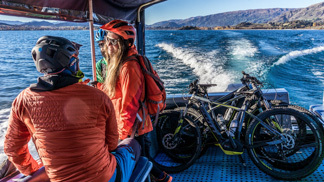 Take the Water Taxi to start or finish your ride, skimming across the crystal waters of Lake Wanaka for a truly memorable bike outing. Suitable for our e-MTB bikes only. 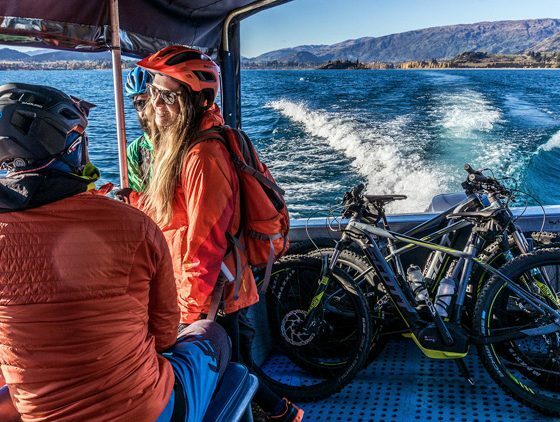 Pick up: Start by boat at 1pm from Wanaka Marina to Glendhu Bay, and return by e-bike along the fun and scenic Millennium Track. Rumbling Burn & West Wanaka. Venture a little further. Take the boat out to Rumbling Burn, visiting Mou Waho island along the way. 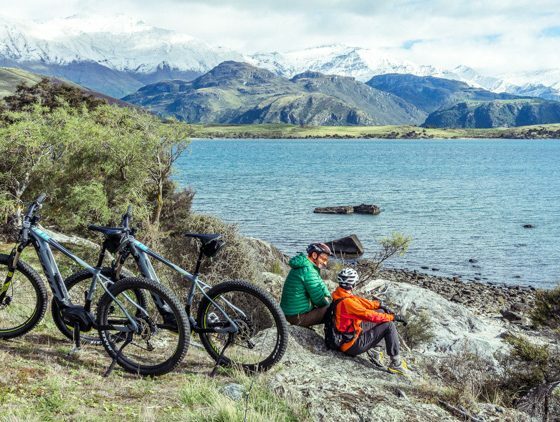 Then enjoy a thrilling e-bike ride all the way back to Wanaka along rugged farm trails and single track. 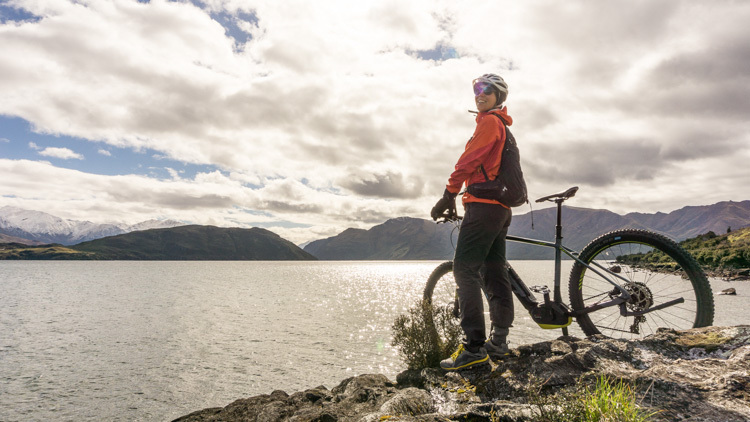 A full day of prime Wanaka adventure! All our bikes come with a lock, helmet, map and toolkit. Cruiser bikes also have a waterproof handlebar bag for your lunch / jacket / camera. 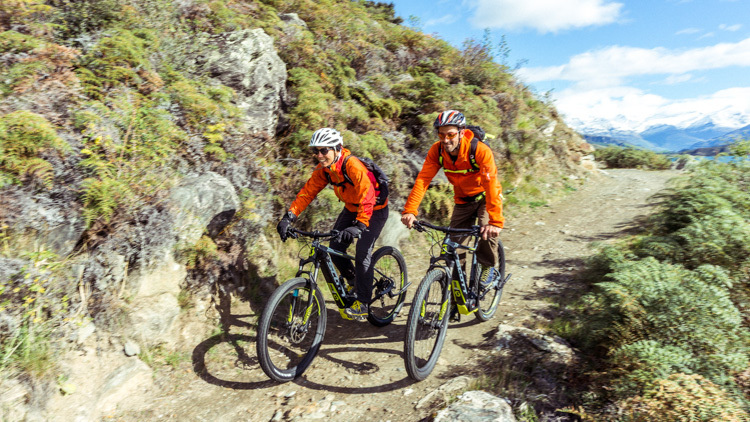 Our hire bikes are also a great way to test ride an electric bike before buying. 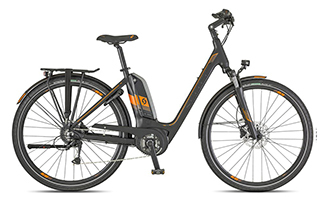 You can Rent-To-Buy – your day hire fee will be deducted from any e-bike you buy from us. 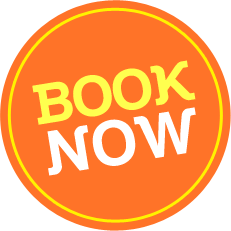 Multi-day and overnight hire can also be arranged – contact us for prices. 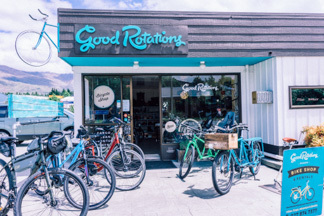 To save you heading into town, we can deliver & collect your bikes to/from your accommodation (Wanaka local area) for a small additional fee. Just select the ‘delivery’ extra when you book and let us know your location. We’ll confirm if we can deliver to you. 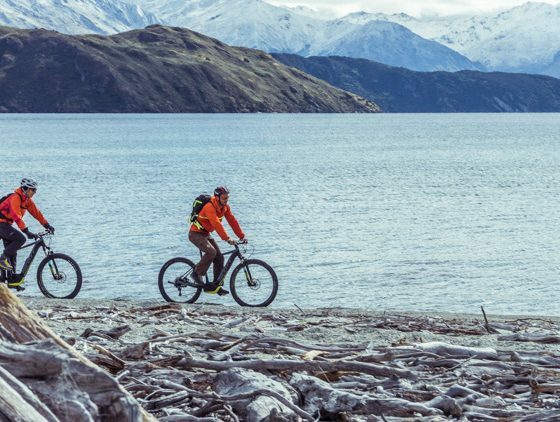 A few suggestions on our favourite trails whether you’re looking for a leisurely cruise or some mountain bike trail action. 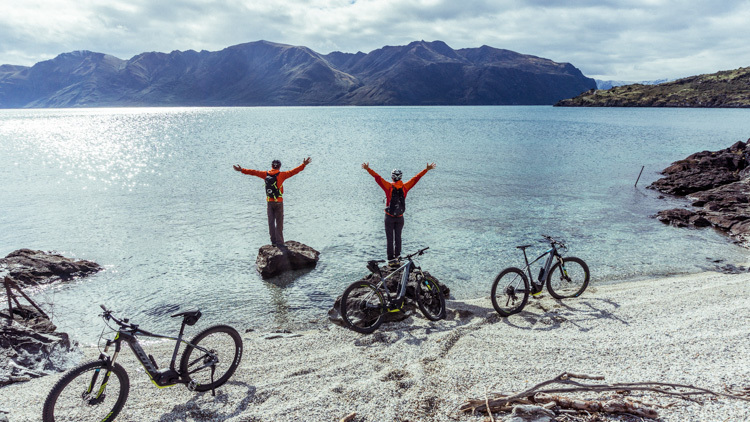 These are a few of our favourites the perfect backdrop for some unforgettable easy riding, whatever trail you choose enabling you to enjoy the scenery at your chosen pace. Glendu Bay / Millennium Track. Distance: Approx 17km one way. 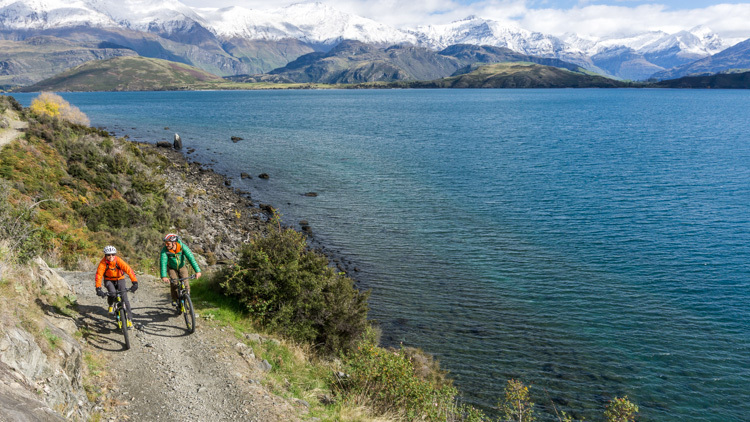 Either return the same way or take the road back to Wanaka. 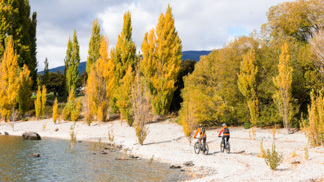 Ride the easy lakeside Waterfall Creek track, passing by Wanaka township (and ‘that Wanaka tree’! 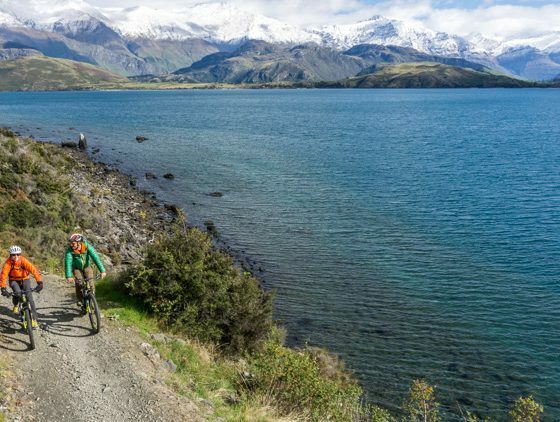 ), and Rippon Winery, and continue on the more challenging (but still easily manageable on your e-MTB!) along the Millennium Track (Glendhu Track) to Glendhu Bay. Grab an ice-cream at the campsite and soak in the stupendous scenery. Distance: Approx 18km round trip. The photographer’s fave! 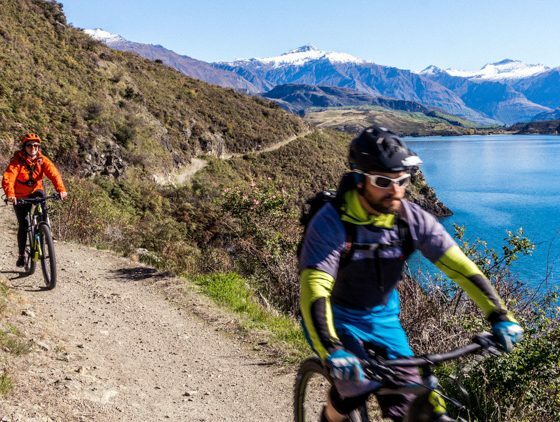 An easy flat trail leads from town around the lakeside to the lake outlet, where the trail narrows and takes you alongside the vibrant blue fast flowing Clutha River all the way to Albert Town. Riders should be aware of and give way to walkers on the track. Stop at the café or pub, or picnic by the river. A great half day out! Distance: Approx 25km one way. A wonderful scenic ride with a bit of everything. 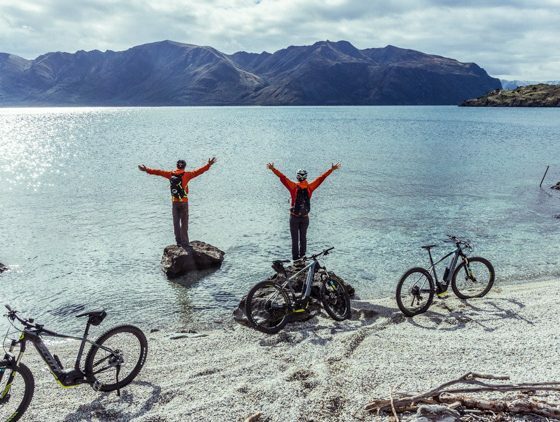 Ride the Outlet Track to Albert Town, then take the Hawea River Track all the way to Lake Hawea where you can enjoy lunch at Sailz Café or the Lake Hawea Pub, take in the pristine lake (take a dip if you are keen! 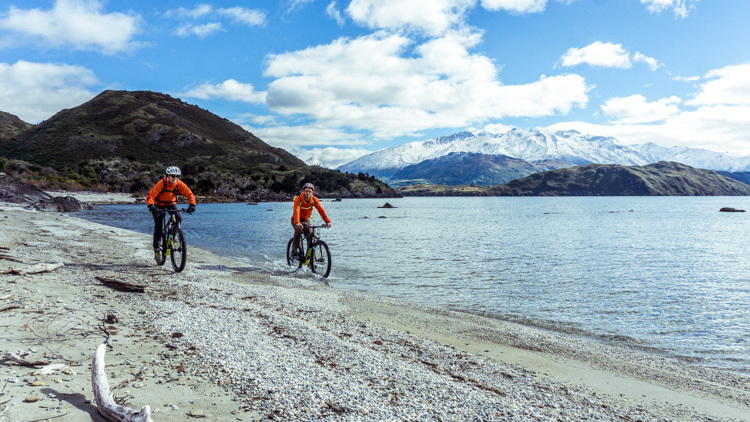 ), then return to Wanaka. Note: you will have to carry your bike up a short flight of step to get onto the Hawea river swing bridge, just after Albert Town. On your return between Albert Town and our shop you might have to carry your bike over a small stile (alternative possible). 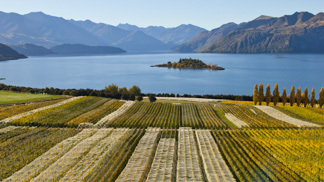 We’re blessed with some outstanding wine growing right here in Wanaka. Take in 3 great wine tastings, and two local craft breweries in this fab tasting tour.